Experience an outing full of adventure and excitement! 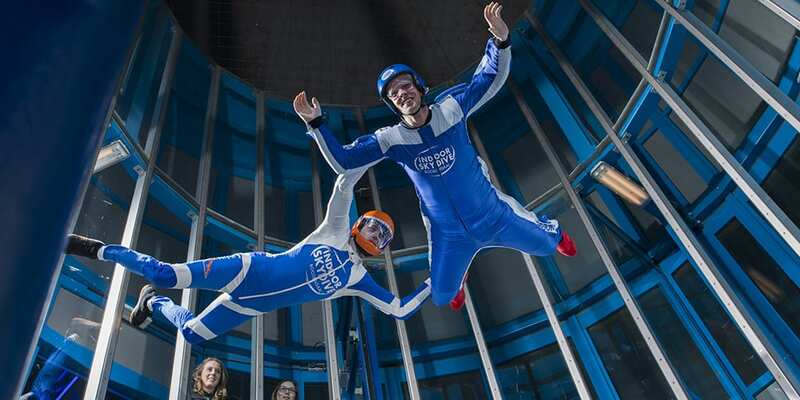 Indoor skydiving is an unforgettable and unique experience that you have to experience yourself to believe it! Looking for an original business outing for you and your colleagues? A trip with excitement and adventure? Come to Indoor Skydive Roosendaal and experience the most unique business outing: the ultimate sense of freedom! Ready for take off? The Storm arrangement is for groups from 10 persons and costs just € 74.50 per person. Of course, you can extend the Storm package with a delicious lunch, drink or dinner in the cozy Bravo24.